Direct thermal labels are an excellent solution for businesses that need to be able to print labels in many locations simultaneously. They can be used in small portable printers since they don’t need thermal printer ribbon, can be printed quickly and can be attached immediately after printing without smearing. Newer versions can even stand up to high heat or chemicals. If you think your business could benefit from these versatile labels, the barcode experts at Tri-State Business Systems can help you sort through the many options that are out there. 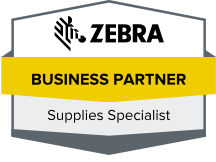 We have 50,000 square feet of barcode supplies in our warehouse, with options from all of the top brands. 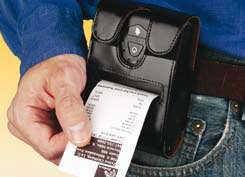 By carrying all these brands, we can provide a wider range of options with our barcode solutions. It also allows our customers like IBM, Johnson & Johnson and Bristol-Myers Squibb, to get all the different supplies they need from a single trusted supplier.